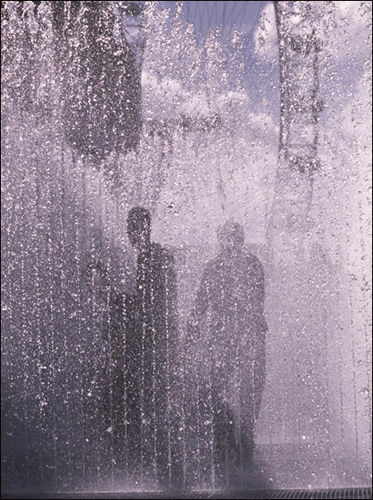 Ron and Maggie Tear Photography: The Fountains, Festival Hall. After a long improvement/upgrade the Festival Hall reopened yesterday. This is one of the fountain features in the area. With the Eye as a backdrop it cannot be resisted by visitors or photographers. Festival Hall, Sth Bank, London UK.